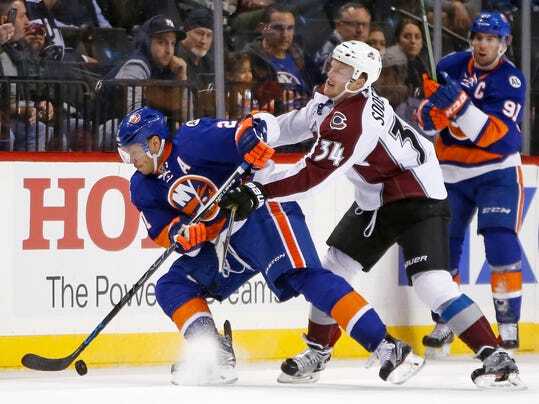 NEW YORK (AP) — The New York Islanders’ fourth line is widely considered one of the NHL’s best. Matt Martin, Casey Cizikas and Cal Clutterbuck showed why on Monday night against the Colorado Avalanche. Clutterbuck’s goal 1:52 into the third period broke a 2-all tie and Cizikas added a necessary insurance score in the Isles’ 5-3 win. Kyle Okposo, Mikhail Grabovski and Ryan Strome also scored and the Islanders won for the third time in four games. Thomas Greiss stopped 25 shots.